Although dogs and cats are probably the most recognizable pets in the United States (and many other countries), did you know, by number owned, freshwater fishes are the most popular pets? At an estimated 139 million individuals, pet freshwater fishes eclipse cats (94 million) and dogs (89 million) and of course birds (20 million). That’s A LOT of fish! But what happens when Nemo, Jaws, or Gary outgrow their tanks; or when pet owners grow tired of their state-fair-prize Goldfish? The take-home message of this post is please DO NOT RELEASE PET FISH. Thanks to social media, fisheries folks can see examples of pet fishes released into the wild almost every week, from South American Pacu found near Chicago, to Goldfish in Lake Tahoe. 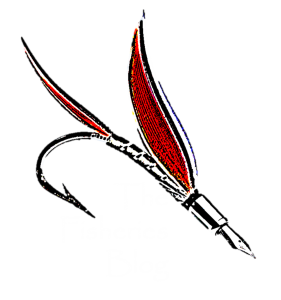 The message of previous Fisheries Blog posts and countless other organizations still rings true: DO NOT RELEASE PET FISH. Release would most likely kill pet fishes, as few pet fishes (especially tropical species) are adapted to local temperatures and water chemistry in the wild. It’s therefore cruel to put your live fish into that situation; there are more humane ways to euthanize your fish if necessary. Your pet fish could spread diseases acquired from other pet fishes, pet stores, or live feed into wild systems. If your pet fish survives and becomes established, it could drastically affect local ecosystems by out-competing native fishes, destroying habitat, or even contaminating the genetic diversity of local populations. The following examples show how pet fish and aquarium releases have had major impacts in the United States and across the world. If you can no longer provide a home for your aquatic pet, please check out Habitattitude and associated links for information on responsibly parting ways with fishy friends. GOLDFISH (Carassius auratus) – One of the most popular aquarium fishes has turned into an aquatic terror across the world from the United States to Australia! CICHLIDS (Family Cichlidae) – Also among the most popular aquarium fishes, multiple members of this diverse family (primarily found in Central America, South America, and Africa) have established themselves in the United States, particularly in Florida. I’ve personally caught several species throughout Florida, and I’m NOT that good an angler. ARMORED CATFISH (Family Loricariidae) – Commonly called “algae-eaters” in the aquarium trade (they actually cause more problems with nutrient load than help with algae, but that’s another story), these South American natives are commonly found in peninsular Florida, parts of Texas, and even Hawaii. “MONSTER FISHES” – Believe it or not, some people do keep “monster fishes” such as Arapaima, Alligator Gar, and giant Redtail Catfish as pets! As you might guess, however, these fishes require large enclosures as they grow, and pet-owners aren’t often prepared for that gargantuan responsibility. Unfortunately, some of these too-big-for-the-tank fishes are released into the wild, where they could negatively affect native ecosystems if they become established, or at the very least lead to hyperbolic stories in local media that can lead to disinformation about the species themselves (e.g. as opposed to article, Alligator Gar do not attack humans). SNAKEHEADS (Channa spp.) – One of the most popular stories of aquatic invasion in the United States, snakeheads are well-suited to impact ecosystems outside their native range. These fishes can breathe air, travel short distances over land, and have voracious appetites. Luckily there is a growing effort to control these invasive fish in the wild by local bounties and encouraging people to eat them! I like hybrid cichlids I’m getting a pair called the (RED PHOENIX KING CICHLID👑) they’re from south and central america the male grows up to a large 28 inches the female 20″ they are extremely extremely extremely extremely extremely extremely aggressive/territorial/quarrelsome and predatory. So let’s have a debate my male hybrid cichlid vs your red devil cichlid 😆😆😆😆😆😆😆😆😆AH HA HA HA HA HA HA HA HAAAAA.